The 14th November also known as Children's Day is Pandit Nehru's birthday. 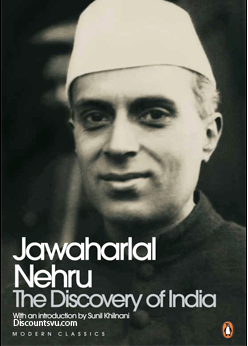 A great individual who had a vision of India and an unbounded love for India, Nehru chose politics perhaps to restore a sense of unification of India, mirrored in his book: ''The Discovery Of India''. To him this discovery was in an archaelogy and mental recovery of the past, manifesting itself in the origins of Indian civilization to present times. He idealized India as a mosaic of cultures, displaying at the same time an overall unity a pattern of unity in diversity. Nehru's chapters on Vivekananda and Gandhi are the poetics and purple patches of this remarkable book, written in a florid style, but capturing his essential emotionalism. He wrote it at a time when he was in prison, obsessed with India's freedom, and he needed a logic for that love. The logic was his brilliant acount, surfacing in Indians of past and present, Indians who captured his imagination in the most unbridled and poetic ways, in the quintessential philosopher's and lover's emanner.Little wonder then that Bertrand Russell once wondered what this man was doing dabbling in politics, he should have been a writer! But it is this writer's fire that soul stirred his belief in an emancipated India. But today on his birthday, schools will go through the routine celebrations of Children's Day forgetting the essential personality of a man for whom India was greater than Indians as M.J. Akbar recently said in a talk here in Shillong. Nehru's thinking was unfortunately flawed, he did not see that Indians are too ethnocentric, too besotted by their immediate desires in terms of society, polity and that ubiquitous lust for money. He failed in his perspective of a one and grand India, harmonic where the cultural patterns fall in an orchestrated manner. That was where he failed, he did not understand that there were too many 'Indias' all out to push the other out. Nehru great as he was being beningly naive. And now we see the fall out. If we are surviving as a Nation, it is because of some little lights who are inexorably holding the country together, or also the forces of corruption, because money has a magical effect on all Indians, irrespective of caste and community. But Nehru's vision cannot be damned or pooh poohed, we have to cling to it tenaciously if we have to keep the ramparts together, if we have to see a manifestly Indian dominion and culture. Also we have to see the people on the other side of the hedge, the poor, the uncared for, the destitute, or the labourer who figure only in dark reports of the UN on eradication of poverty and hunger, and live below the abysmal poverty line. But India is not only made of indexes and indices, it has inherited a revolutionary but glorious history of commingling of races, culture and religions. Beneath this is deep seated diversity in terms of culture, language and geography as the historian D.D. Kosambi pointed out . But this diversity is strongly upheld by the artifact that this India, notwithstanding subaltern voices, and discourses of the other. This 'other' also has to be accomodated in India's vast heterogenity and melting pot of cultures and religions. A country that has been the birth place of at least four religions cannot be dismissed as a country with no purpose. It is history which has been deterministic in this regard, determining India's course not without trials and tribulations, but also with a Hegelian dimension of synthesis. That has been the logic and raison de tre of India, its insightful historicity, its assemblage of languages and cultures, efflorescence of languages Persian, Arabic, Hindi, modernization of Sanskritically endowed languages through the messages of Bhakti saints, interfusion of races: Mughals, Turkish, Aryan, Dravidian and Mongoloid, and at each stage of these incursions there have been historical assimilations. This is its wonder, as A.L. Basham demonstrated in the true purist's style in his great book on Ancient India. Nehru may have been a popular historian, but he understood India's syncretism, its power of absorption and the fact that India appeared on the soil even before we had Indian citizens based on a Constitution. Hence the thread and contiguity between Asoka, Akbar, Gandhi and Tagore four Indians whose examples Amartya Sen cited in his classic: ''The Argumentative Indian''. India has been an argument enforced through centuries: politically, historically, culturally, aesthetically and even architecturally, the sub soil mingling with the soil, polarities fusing, languages blending and what have you. The climax perhaps was Tagore's Internationalism, which few understood and most misunderstood, some of them castigating him as a British cronie! Tagore's Internationalism, coming perhaps at the wrong time, during the freedom struggle is layered with a super or supra nationalism of the kind of a Bertrand Russell. Perhaps foreign policies today may be tethered on this kind of a base, with all our talk of a global village. This will be our discovery of India, not quibbling with history, but upholding it, as exemplications of personal and societal histories.